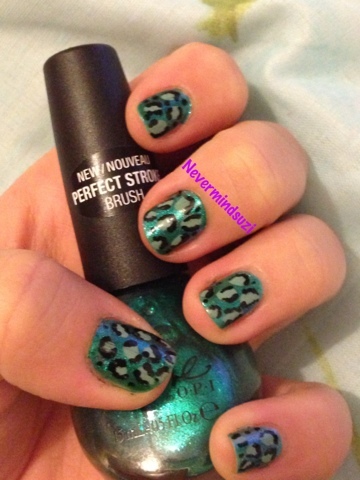 Here's one of my favourite leopard print mani's for you featuring Nicole by OPI - Iceberg Lotus and OPI - Mermaids Tears. 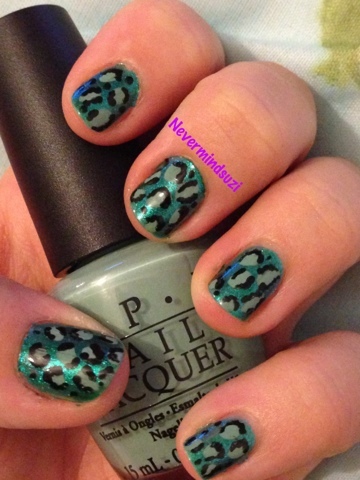 Both polishes had lovely formulas and I look forward to using them again. That Nicole polish is lovely :) And obviously you can't go far wrong with any of the Pirates polishes - such a pretty collection!